Mr. Douglas Trumbull. Photo courtesy of Douglas Trumbull. In late July, I attended a 70mm screening of "2001: A Space Odyssey" at the NFT in the presence of Douglas Trumbull. He introduced the film with many fascinating anecdotes about his role in developing new technologies and techniques for the film, such as the legendary slitscan system for the stargate sequence. His first job was making what he called mini movies for insertion into the windows of the moonbase in the lunar landing sequence. He was involved in preparing models for the lunar landscape which turned out to be very much like the real thing, which the real moon landings revealed a year after the release of "2001". Hearing a first hand account from Douglas of the making of a a masterpiece was a great privilege. And so, the screening which followed his introduction was something of a let down. 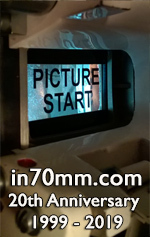 The 70mm print was badly scratched in the Dawn of Man sequence and weaved heavily in the projector. The sound was muddy for most of the screening and Douglas slipped quietly out after twenty minutes or so, but thankfully returned for the Q&A, which was equally fascinating. He recalled more of his experiences in the industry. He gave a moving tribute to Stanley Kubrick, his greatest mentor, who gave him a truly flying start in the film industry. 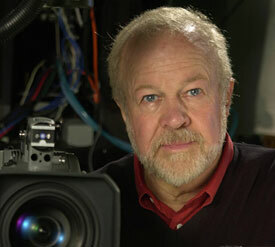 It enabled him to make "Silent Running" developing many of the techniques acquired in the production of "2001". He revealed that he had made his own documentary called "2001- The making of a Masterpiece" showing us an all too tantalisingly brief excerpt. It looked very promising. He hinted that Warner was preparing a final cut of "2001" with hitherto unseen material. Bring it on! I am sure that many owners of the DVD and Blu-ray, will like me, pay top dollar for a new Blu-ray release, featuring these items. I talked in private with him afterwards and mentioned in70mm.com which he indicated he had much regard for. I proposed an interview with him for possible future publication. And so gentle readers, watch this space.